Dr. Karin Zylka lives in Tinley Park with her husband (Matt) and 3 children (Adelynn – 5yrs, Emily – 4yrs, and Colton – 3 yrs.). When she is not spending quality time with her family, Dr. Zylka is dedicated to improving the lives of those with hearing loss. She graduated from Western Illinois University with a Bachelor’s of Science degree in Communication Sciences and Disorders in 2005. She received her doctoral degree in Audiology from the University of Illinois at Urbana-Champaign in 2009. She is a fellow of the American Academy of Audiology, and has earned the Certificate of Clinical Competence from the American Speech-Language and Hearing Association. Her career in audiology began at Sertoma Speech and Hearing Center (a non-profit center in the south suburbs of Chicago), where she worked for about 7 years gaining experience working with patients across all ages and backgrounds. She went on to work with Lucid Hearing (a hearing aid manufacturer) for a few years before joining the staff at McMahan-Clemis Institute of Otolaryngology. 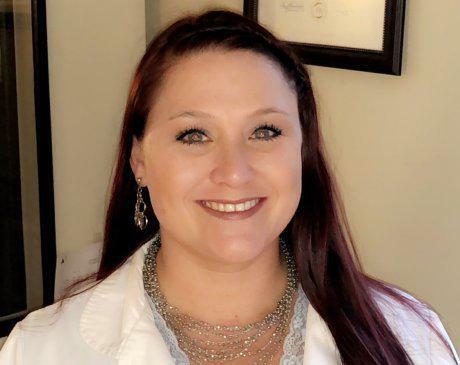 She is committed to taking the time to listen to and build relationships with patients, so she can help them reconnect with their loved ones and live a safer, happier life.